SKU: 5500. Category: Petti Pants. Waist-high, sissy-length ruffled lace nylon bloomers. 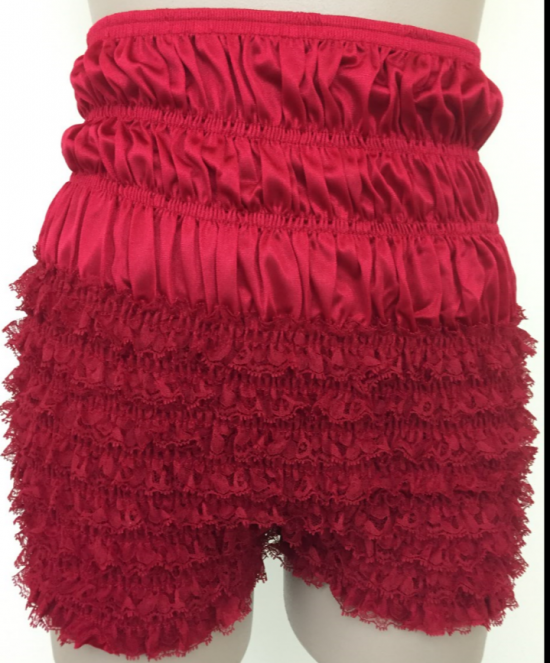 Very ruffled, very feminine. 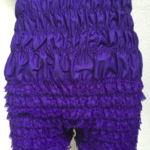 Perfect dance pant for under our petticoats or for costumes! 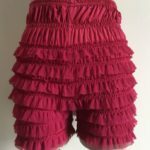 Style: Waist-high, sissy-length, 3″ inseam, with lace ruffles. 7 or 8 rows of lace (depending on size). Very stretchy. Sizing: Sizing can be tricky – see other image for sizing. If you fall between sizes, purchase the larger size. 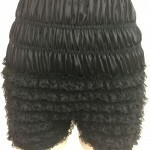 Fabric: 100% nylon tricot, with lace ruffles. Care: Hand wash warm. No bleach. Drip or fluff dry. Products are 100% hand-crafted with pride in the U.S.A, and built for the durability required by dancers. Please note that for health reasons we do not, under any circumstances, accept returns of pettipants. If a pettipant item is defective, we will replace it or issue a credit at no cost to the customer.